Materials needed: Gospel Art Kit pictures (see below), glove or mitten, a twig with new buds or blossoms (if possible), blanket, a bag of microwavable popcorn. Have children gather on a blanket on the floor sitting in a semi circle. Put 5 pictures on the floor in front of them (1-16 “The Nativity”; 1-17 “Boy Jesus Teaching at the Temple”; 1-59 The Crucifixion”; 1-73 “Burial of Jesus”; 1-74 “Jesus Shows His Wounds”). What is the name of the same person who is in every picture? Point to Christ in each picture and say, “Jesus.” Go back and describe the event in each picture. Name the other people in the picture and what Jesus is doing with them and their relationship to Him. Tell how this is a story of Jesus’ life, from His birth to death. First, He was born. Then, He grew up and learned about the gospel and taught many people. Then, He was crucified and suffered for us because He loves us. After that, He died and many people were sad. But then, His spirit came back from heaven to be with His body. He was alive again. We call that “resurrected.” Can you say “resurrected” with me? He was the first person to be resurrected. Because He died and lived again, we will too. When we die, we will be resurrected too. We will never die again. That makes me very happy. Repeat the song, inserting each child’s name at the end (“Oh yes, and so shall Gregory”). Sit back down. Have you known anyone who has died? Explain that when people die, their spirit is still alive. Someday they will be resurrected, which means their body and spirit will come together again like Jesus’ did. While we are living, our spirit is inside our body, and it makes our body alive. It’s like my hand when I put it in a glove or mitten. (Demonstrate). When they come together, the glove can move around. But when I take the glove off, it is like when our body dies and our spirit leaves. The body (glove) can’t move anymore. When we are resurrected, our spirit comes back into our body (put hand back inside glove) and it comes alive. It will never die again. I am thankful to Jesus for resurrecting and giving that gift to all of us. Pass the glove to each child and let them put it on and make it move. Sing “Popcorn Popping” (Children’s Songbook, p. 242). Take the children to the kitchen and pop a bag of microwaveable popcorn. Take it outside and eat it while you look for signs of Spring. If you buy a new TV, it comes with an instruction manual. If you buy a new car, it comes with an instruction manual. Heck, even the new toaster we recently bought came with an instruction manual. All of the things in our lives come with instructional manuals— everything but one of the most complicated “things” that we have—our children. I think all of us at times have wished for an instruction manual for our kids; what if I told you there was one? 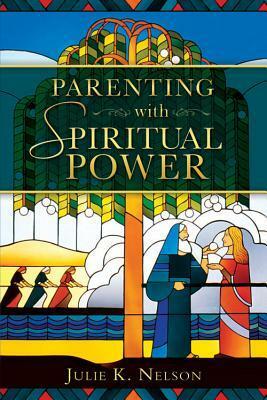 I was given a copy of the book “Parenting with Spiritual Power” by Julie K. Nelson to review. In the introduction it warns us about getting caught up in the changing philosophies, parenting styles and whatever is popular at the time and also introduces us to the parenting manual given by our Heavenly Father, the scriptures. The book is broken into chapters, with each chapter looking at a certain person or scripture story from both the Bible and the Book of Mormon and the principles and parenting powers we can learn. Chapter 1 talks of Adam and Eve and the lessons we can learn about the Power of Agency. It discusses the idea of offering our children choices and giving them ideas of what they can do and not just a list of things they should not do. Other scripture stories throughout the book help convey such things as the power of good cheer, the power of correcting with love, the power of perspective, the power of forgiveness, etc. She briefly talks about the scripture story and then helps show the principles it conveys and concludes with a brief summary at the end of every chapter. At the very end of the book she also includes 21 discussion questions that are perfect for self reflection, for talking with your spouse, or even would be so perfect as part of a book club or parenting group. The book is a very quick yet powerful read. It presents good solid parenting advice backed by scripture references and stories. For anyone who wants to parent with more faith and with more of a Christ-like approach, I definitely recommend this. Sunbeam Lesson #12 "I Am Thankful for Animals"
“In addition to using a variety of methods from lesson to lesson, you should teach each lesson with variety. Children with their natural curiosity, respond especially well to a variety of learning activities–usually between five and seven per lesson…Choose methods that support and reinforce the main purpose of the lesson. They should be true to fact and life and emphasize truth, goodness, and beauty. Do not choose methods merely to amuse or take up time [gimmicks].” (Teaching, No Greater Call, p. 89). Materials to bring: food items (see activity below), pictures 1-29 and 1-30, dress up costumes, a long sock for each child, pictures of animals, stuffed animals. 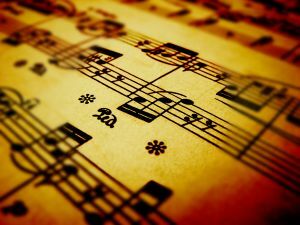 Review the song, “The Wise Man and the Foolish Man” (Children’s Songbook, p. 281). And the rains came tumbling down…etc. …and the ark on the water was safe. Tell the story of Noah and the ark from Genesis 6: 5-8:19. Show picture 1-29, Building the Ark and 1-30, Noah and the Ark with Animals. How was Noah and his family blessed for obeying Jesus? He was very wise. We can be wise, too, when we obey Jesus and Heavenly Father. Point to animals in the second picture and ask the children what are the names of each animal. Continue with monkeys, giraffes, dogs, etc. Let’s all pretend to be an elephant on Noah’s ark. What does an elephant look like? (as you discuss, you can draw one on the board). I’ve brought a sock to put on one of our arms. Let’s pretend it is the elephant’s long trunk. She takes the children on a fun ride. An elephant is a wild animal. What are other wild animals that live in a jungle or desert? Have any of you seen them in a zoo? Some animals are tame, and that means they can live in our house and be a pet. Do any of you have a pet? What kind? What is their name? How do you take care of it? Display items: egg, cheese or an empty carton of milk or yogurt, a wool sweater, a can of meat like tunafish. Have the children identify each item and then tell them they each come from an animal. Heavenly Father blessed animals to give us food and clothing. Draw (show a picture or say the name of) an animal and have the children match the food or clothing product to the animal. Ask the children to comment on what they like about eating these foods. Remind them how we are healthy when we eat good foods that obey the Word of Wisdom. If desired, you can pass out portions of the food (cheese or tunafish on crackers) to eat. Put on costumes to be Noah and family. Make a “boat” with the chairs. Each child will take a stuffed animal to put on the ark (if available). Tell the story as they act it out. Repeat and take turns being different characters. Tape pictures of animals around the walls. Sing the first part of “Noah and the Ark.” Children walk around until the song ends and then stand in front of one of the pictures. Say a child’s name and they tell what animal it is. Repeat. If the weather is good, have the children line up outside on one end of the yard. Tell them you will say a name of an animal and they have to act like that animal to get to the other side of the yard. Have them go back and forth pretending to be different animals. 1. Make an animal collage. Bring in pictures cut out from magazines and let the children choose which ones they want to glue on their paper. Write animals names on it. If you have child-sized scissors, it would be a good fine-motor exercise to allow them to practice cutting pages from the magazine. 2. Animal shapes. Bring in playdough and let the children make animals. Teach them how to make the basic shapes of rolling out a “snake” or a “ball” or a “pancake” and how to put these together to make a body of an animal. 3. Animal Puzzles. Take larger pictures of animals (from a magazine or calendar, for example) and cut them in half. Mix them up and let the children put the puzzle pieces together. End with testimony: When Noah and his family obeyed God, they and the animals were saved from the flood. We can be saved too when we obey the prophet and Heavenly Father. The Word of Wisdom is a commandment that blesses us to be healthy. Heavenly Father made animals to make our earth beautiful and to bless us so we can take care of them and they can give us good food in return. I like to read but my time is very precious right now with 3 busy boys. In order for me to take the time, the book needs to be something applicable and catch my interest. 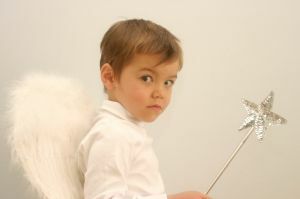 Parenting With Spiritual Power hits home as an immediate concern of mine. principles of scriptural mothers and fathers. From the moment I first started reading I was captivated. My undergraduate degree is Family Studies and I have studied parenting techniques and strategies in my subsequent degrees. I loved how the author immediately made comparisons to the scriptures as a source of parenting. Certainly there is “truth in all things” so to have a book highlight how the scriptures are applicable was validating and encouraging. This book also came at a much needed time in my life. I have been a little discouraged these few months. My boys have their challenges and limitations as I have shared recently. I wondered what else as a mother I could do for my boys? The many appointments, therapy sessions, etc. It’s difficult at times. I wondered how God could see fit to trust me with these boys. What more could I do? consistent.” That is what we have strived to do in our home…be consistent. One of the many passages that held my heart. A few of my favorite quotes from the book. years of infertility and trying to find our family through adoption….. Thank you Julie Nelson for a beautiful book that is a tender mercy for me right now! I hope you will be able to read this book! (or thought them) ourselves. There are “how to” manuals for practically anything: installing a new faucet, building a remote control car, baking an apple pie, refinishing an antique chair, or assembling a bicycle. Is there a formula or a perfect manual for raising children? Yes! The scriptures. There are many wonderful examples shared in this fantastic book! I really enjoyed discussing each chapter with my hubby as we read it together. I also love the conclusion and discussion questions at the end of the book. Parenting with Spiritual Power is very uplifting and full of encouragement. Being a mom of three precious boys I’m so thankful Heavenly Father provided the scriptures as a spiritual road map to help us with raising children. Julie K. Nelson thank you for this beautifully written book that my whole family loves! What an incredible idea to examine the lives of parents in the scriptures and the parenting principles we can learn from them. Saint (The Church of Jesus Christ of Latter-day Saints) but a Baptist, I found this title very informative,useful and educational. A parenting book based on moral principles. A wonderful idea and much needed in today’s world. I think it is well worth the time to read. Well written. Received for an honest review from the author. Sunbeam Lesson#11 "I Am Thankful For Fish"
“How will those you teach know that you are listening? You can demonstrate that you are listening by displaying an expression of interest. You can look at the speaker rather than at your lesson materials or other things in the room. You can encourage the speaker to complete his or her thoughts without interruption. You can avoid jumping into conversation prematurely with advice or judgments. When you understand what is being said, you can make comments that show your understanding” (Teaching, No Greater Call, p. 66). Materials needed: pictures 1-26 and 1-27, goldfish crackers, newspaper fisherman hats, fishing pole with magnet, colored fish with paper clips and a song, question or activity printed on one side. Pass out goldfish crackers for the Sunbeam children to snack on while telling Story of Jonah from Jonah 1-3. Be sure to teach that Jonah was sad when he disobeyed Heavenly Father and was happy when he finally obeyed. The big fish obeyed Heavenly Father and swam over to Jonah in the sea to open its big mouth to swallow him and save him from drowning and to spit him out onto the land after 3 days. Heavenly Father used a big fish teach Jonah that lesson and to bless Jonah and the people on his mission. Octo-pus, Octo-pus, swimming through the wa-ter. Now the whale is full! Where do fish live? Have you ever seen a real fish? What did it look like? Show picture of a frog (1-26) and turtle (1-27) and discuss these animals. They live in the water, too, along with the fish. What other animals live in the water? Ask how a fish, frog and turtle move and have the children act them out. Play a Freeze game where you say, “Fish” or “Frog” or “Turtle” or “Freeze” and the children have to do that action. But he didn’t catch me! (shake finger). Sit children back in chairs. Tell the following in your own words: When the people came to listen to Jesus talk, they had to walk for a long time to see him. They ran out of food and didn’t have any more. So Jesus made a miracle and took a little bit of bread and a few fish and blessed them. His blessing made the fish and bread to feed lots of people and it didn’t run out. They weren’t hungry anymore and they listened longer to his talk. Why were the people hungry who came to listen to Jesus? What special miracle did Jesus do to feed them? What happened after they ate the fish and bread? Jesus created the earth and all the animals. That is why he can do miracles with fish and bread. Line up chairs in one or two rows to make seats in a “boat.” Give each child a newspaper sailor hat. Sing “Row, Row, Row, Your Boat” and pretend to be rowing. Row and sing fast and slow for variations. Set chairs back in a semi circle. Do the action verse: “Five Little Fishes” (put up five fingers on your hand). Along comes the shark going snap, snap, snap. Four little fishes comes swimming back. (Repeat until all fish-fingers are gone). Remind the children that Jesus Christ created the earth and all the animals, including fish, turtles and frogs. When Christ lived on the earth, he used fish many times to teach the people about His power and to bless them. Bear testimony of your love for each child and for your Savior and Heavenly Father. Extension activity: If you are able to go outside, you can play “Sharks and Minnows.” The children (“minnows”) line up on one side of the field while the “shark” stands in the middle. When you say, “Go,” the children must run across to the other side. The “shark” tags as many “minnows” as s/he can and they turn into shark. Keep going until all children are caught.